This is the scene where “Fargo” shows how it is going to take a story about pathetic criminals and make it into a great movie. Our first shot of Chief Marge Gunderson (Frances McDormand) comes deep into the film. The crime elements are already in place. We've met Jerry Lundegaard (William H. Macy), the auto sales executive with an absurd plan to have his wife kidnapped so he can steal most of the ransom. We've met Carl Showalter (Steve Buscemi) and his silent, implacable partner (Peter Stormare), who have agreed to kidnap her for $40,000, plus a new car Jerry will steal off the lot. These are quirky, skewed, priceless characters, but when things go wrong and Marge and her husband, Norm (John Carroll Lynch), are introduced, the movie finds its center. 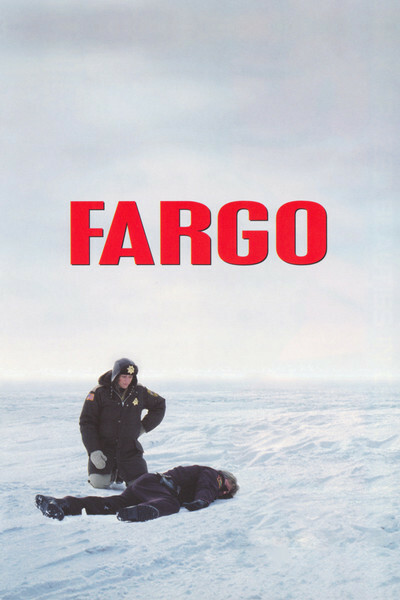 “Fargo” (1996) was directed by Joel Coen, produced by Ethan Coen, co-written by the brothers, and set in the Scandinavian-American upper Midwest where they grew up. It begins with the information that it is “based on a true story,” and ends with a disclaimer that its “persons and events” are fictitious. It's fiction; “true story” is an ironic stylistic device. But “Fargo” is true to the rhythms of small-town life. When Marge Gunderson stands at the first crime scene and counts three dead bodies, she correctly intuits that the perpetrators are not from Brainerd. Venturing to the big city on her investigation, she asks a friend for a tip on a good place to eat, and is steered to the buffet at the Radisson. Jerry Lundegaard is as trapped by his sales manager's job and his implacable father-in-law (Harve Presnell) as any character in Sinclair Lewis; he's juggling a stolen car and a double fraud (he will tell the kidnappers they're splitting an $80,000 ransom but tell his father-in-law the ransom is $1 million). His son bolts away from the dinner table to meet his friends at McDonald's. His wife, Jean (Kristin Rudrud), works furiously at every household task, chopping, stirring and knitting as fast as she can. Against these domestic details, the crimes stand out as amoral and violent. There are ugly moments. Everyone remembers the scene where Stormare (who once played Hamlet for Bergman) pushes his partner's leg into the wood-chipper. More heartless is the scene where poor Jean, blindfolded and barefoot, tries to run away in the snow, and Buscemi laughs at her. There are also the shootings, sudden and merciless (“Oh, Daddy!” says Buscemi, shocked by the first one). Against this Chief Marge uses folksy small-town cheerfulness as a tool for prying criminals loose from their secrets. William H. Macy's performance is an implosion of fear and frustration. Here is a man who wants a simple thing: a $750,000 loan from his rich father-in-law, so he can buy parking lots and make some money of his own. Yes, Jerry's portrait-studio photo is on the auto agency's Wall of Fame, but so are dozens of others. His office's vertical blinds are handled visually like prison bars. If he can steal $920,000, he can buy the lots. True, his wife will have to be kidnapped, but he can live with that. His plan is pathetic. He finds the kidnappers at third hand. He knows nothing about them. The GMAC lawyers are badgering him daily for information that would expose the missing “tan Sierra” (actually, we learn, “burnt umber”). The father-in-law insists on personally delivering the ransom, which means Jerry can't cut out the $920,000. And there's Marge, sitting across his desk, chipper, asking him questions he cannot answer. Macy sweats, his smile a grimace, his self-control like a death grip, and things pile up, and up, and up. There is a scene many viewers find inexplicable. On the evening between her first and second interviews with Jerry, Marge has dinner with a high school classmate, Mike Yanagita (Steve Park). The critic Jonathan Rosenbaum says it's “a disturbing interlude that strikes many others as wrong or dubious,” but he finds it a key: “in terms of theme a lonely individual lying compulsively, trying without success to hide his desperation it registers as central.” I agree. I think Mike works as a mirror of Jerry, and that the dinner scene acts as the link between Marge's first and second interviews with him. The next morning, she is preparing to return to Brainerd when a high school girlfriend tells her that everything Mike said was a lie. That's the wake-up call that leads back to Jerry's desk at the dealership. The Mike interlude not only provides a delicate study of Marge coping with an embarrassing situation, but is infinitely better than the alternative a single interview with Jerry that simply grinds him down. The snow and cold provide the Coens with visual punctuation and a pervasive sense of place. The opening shot fades in to Jerry's lonely journey to deliver the Sierra. High-angle shots show two frozen parking lots, which the Buscemi character inexplicably chooses to steal license plates and make a ransom transfer (he doesn't catch on that the parking-fee collectors are eyewitnesses, and that leads to two more murders). He buries the loot beside a barbed-wire fence that stretches into infinity, and uses a plastic windshield scraper as a pathetic marker. When Jerry duels with an unhappy customer (Gary Houston), the man and his wife have their goose-down coats piled in their laps.